In just a handful of days, it will be March 20th, the first day of spring. But in many parts of the country, it is still really cold outside! Like the notoriously unreliable groundhog, March is prime time for heating safety issues to pop their heads up, just to see if anybody notices. In this post, learn about the most common end-of-winter safety issues to watch out for and how to resolve them before a minor safety concern can turn into a major disaster. If you have been enjoying warm fires all winter long, chances are good that your fireplace and chimney system is overdue for a good cleaning. In fact, according to the National Fire Protection Association (NFPA), nearly 30 percent of home fires are caused by failing to clean creosote (smoke residue or "flue gas") and other build-up in fireplaces and chimneys. Depending on the type of heating system you use, this may mean inspecting your boiler, furnace, radiant heater, or some combination thereof. Ensure that all loose debris is cleared away from around the heating unit. This includes underneath, on the sides and on top of the unit. Look for low-hanging or nearby items that could be potentially flammable and move them far away from your heating unit. This includes mattresses, bedding, draperies, even carpeting. Contact a professional heating inspection company to do a tune-up of your heating system itself, including the inner areas you may not know need cleaning or replacement. Your hard-working furnace may or may not be cooking up a malfunction or break-down, but you don't want to wait until you have passed out from carbon monoxide poisoning to find out. Carbon monoxide by nature is a gas by-product that is both odorless and colorless. The only way you would know it has entered your indoor air is if you start to feel nauseated, dizzy, light-headed, short of breath, tired, or close to fainting. By the time these symptoms arise, you have already inhaled too much carbon monoxide. A carbon monoxide detector is a simple addition to any home that uses any kind of heating system, and it can truly be a lifesaver. If you have family members who prefer their rooms to be a little warmer, you have probably been using space heaters all winter long. And you might have dug in the closet for the space heater and cranked it up without ever once checking that it is still safe to use and working properly. In fact, the NFPA states that malfunctioning or un-inspected space heaters are to blame for a full one-third of home fires due to heating issues, and more than 80 percent of deaths (that is four out of every five deaths) due to home fires. These are scary statistics, but they are also totally preventable if you just do a quick visual inspection of your space heater right now. Make sure your heater is located in a place where the surrounding area is open and clear of any debris or materials that could catch fire. Make sure the unit is free of dust and placed on a solid surface with no danger of tipping. Check for an inspection certification sticker: it will probably have a "UL" acronym on it along with some type of approval statement. NEVER plug your space heater into an extension cord. Always plug it directly into the wall outlet. Finally, turn your space heater on and sniff. If you smell a strong odor or something smells like it is burning, this is a sign it may be time to replace your unit (as a perk, replacing your space heater now ensures you will have a safety-inspected, shiny, new unit to use when winter rolls around again). 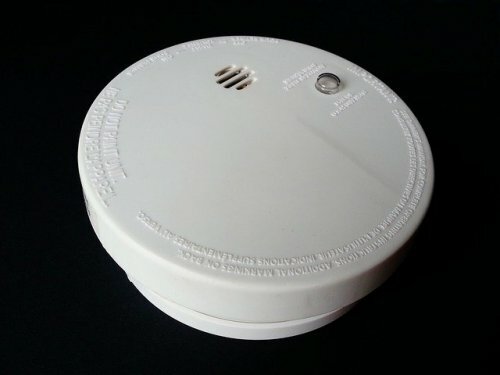 Today's battery-powered smoke alarms are supposed to automatically generate an alarm siren when the battery strength is getting low. However, some newer types of smoke detectors (“mains-powered”) are tied into the home's electrical system instead. It is important to identify the power source for each of your home's smoke detectors. Ideally, you should have both types installed just in case the central power in your home goes out due to weather or other causes. As well, you should know whether you have ionization or photoelectric smoke detectors installed. The former will alert you about the presence of sudden flames, while the latter will alert you about the presence of a smoldering fire. Here again, it is better to have both types installed and to check them both regularly. If you need assistance in verifying the safety of your home's heating system, including a central HVAC system, remote heating units, fireplaces and chimneys, carbon monoxide detectors, and smoke alarms, Shipton’s is always on call for you! In addition to new installations, duct cleaning, air quality assessments, regular maintenance, and repairs, our family-owned business provides emergency service calls throughout the Hamilton, Toronto, Niagara, and surrounding areas. You can contact us by phone at 905-549-4616 or via our website at www.shiptons.ca to schedule a free, no-obligation consultation.